You'll be £12.99 closer to your next £10.00 credit when you purchase God's Generals. What's this? It is one of the more startling facts of military history that the founders of three of the four great religionsJudaism, Buddhism, and Islamwere also accomplished field generals with extensive experience in commanding men in battle. One of these, Muhammad, fought eight battles and was wounded twice, once almost fatally. Another, Siddhartha Gautama (later to become the Buddha), witnessed so much battlefield carnage that he suffered a psychological collapse. Moses had become so much a god-intoxicated personality, it is a reasonable suspicion that he, like the Buddha, was murdered. Indeed, had the experiences of these men in war not been so successful, it is quite possible that their achievements as religious leaders would never have occurred. For all three, war and religion were so closely intertwined in their personalities that it is difficult to discern where the influence of one ended and the other began. 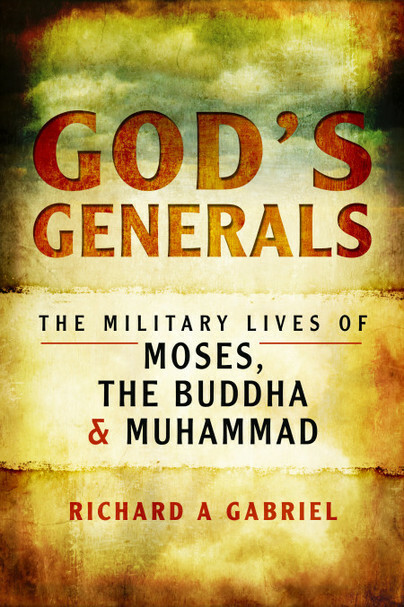 This book attempts to explore the military lives of Moses, the Buddha and Muhammad, and the role their war experiences played in their religious lives.